Almost exactly a year ago, I.G. Advisors held our first ever Major Gifts Surgery in partnership with the Hospital Club Foundation. 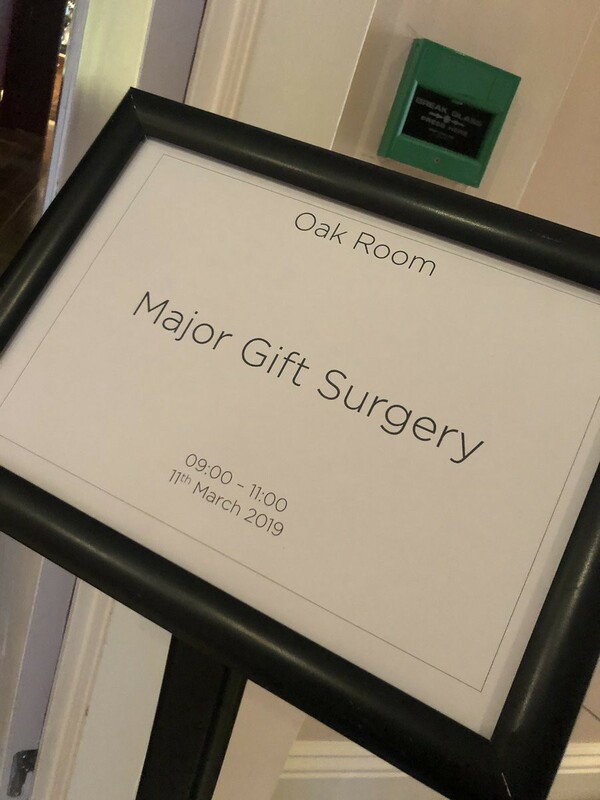 Back by popular demand, we were delighted to host our second surgery on the 11th March, welcoming an entirely new audience who brought brilliant energy to the room on a cold Monday morning! A common theme in our discussions this time was donor centred design — far too often at I.G. Advisors, we see organisations implementing fundraising strategies which have not put donors at the heart of the development process, and as a result, fundraisers misinterpret what donors want from them. Although it may seem daunting, the best way to find out what donors truly want is asking them directly! We hosted this Surgery as an opportunity to provide insights directly from donors we have spoken to about how they like to be approached and engaged with in a meaningful and inclusive way, whilst at the same time, taking into account each organisation’s needs, assets and wider strategy. Our panel, moderated by Carlos Miranda, I.G.’s Founder, featured I.G.’s major gifts experts, Emily Collins-Ellis and Rachel Stephenson Sheff, who spoke about a variety of trends in the philanthropic landscape and shared observations of best practice for engaging with and soliciting from major donors. 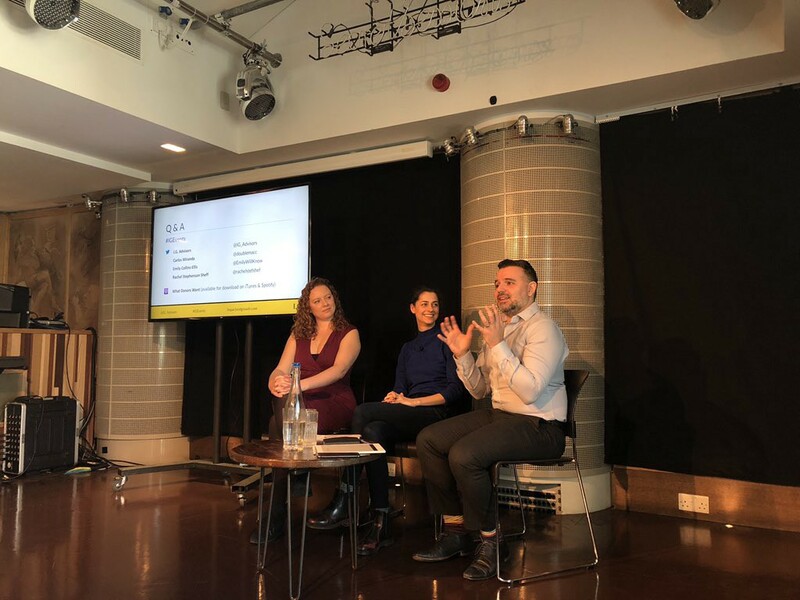 For those of you who were unable to make it, or did join us and want a reminder, here are the key insights from the event, to help you put donors at the heart of your major gifts strategy. We also recommend listening to our podcast, What Donors Want, which provides donor-centred advice straight from the donor’s mouth, and is the source of our quotes below. People give to people — “A donation is never the beginning of a relationship — there’s always something that comes before.” (Nicolas Patrick, DLA Piper). Both entrepreneurial funders we interviewed connected most with fundraisers who brought an entrepreneurial spirit to their charitable work. Importance of transparency — “An awful lot of pitches I see are too glossy — these problems are complicated and I want to deal with the truth.” (Nick Jenkins, Dragons’ Den). Be honest about your challenges and mistakes. Tell your donors first about difficulties or changes, before they find out alongside the general public! Importance of excellent stewardship — “One of the most common mistakes organisations make after receiving a grant is not following up. We understand and don’t want to be a burden, but the enthusiasm and momentum can’t stop there.” (Andy Bryant, Segal Family Foundation). Many donors will start off with a more restrictive ‘get to know you’ grant before transitioning to unrestricted, multiyear funding. Reframe the power dynamics: you’re also solving the donor’s problem — “The problem the donor has is they have more money than they need, they want to do something useful with it and they want to believe it’s made a difference. [Fundraisers] can solve that problem for them” (Nick Jenkins, Dragons’ Den). For a donor wanting to make a difference, it can be overwhelming to know where to begin, and reframing the power dynamic in this way is hugely helpful when taking your donor on their journey. This also applies to corporate fundraising, where the emergence of shared- value partnerships means donations “must be directly relevant to business” (Nicolas Patrick, DLA Piper). What practical steps can be taken to start to incorporate donor-centred design into a fundraising strategy? Incorporating donor-centred design into your fundraising strategy doesn’t mean you have to redesign your current practices from scratch. Many elements of fundraising, such as holding events, can be used as an opportunity to ask for donor’s feedback afterwards. This could be done by taking a customer satisfaction approach, or by creating short, carefully-crafted surveys that get sent directly to donors. Answers will provide you with an accurate picture of the health of your relationship that internet searches can’t. You could also encourage your Board of Trustees to frame their discussions about fundraising as moments to reflect and see what has worked well in the past, what hasn’t, and think about what they have heard from people in their networks about your organisation. Donor feedback as well as feedback from other important stakeholders can help inform your fundraising practices moving forward. Have you found any difference in the narrative you give around systems change funding between institutional donors and individuals? Although trends and narratives around systems change funding do vary, it is important to remember that regardless of whether you are cultivating an institutional donor or an individual, you will in most cases, be approaching a human being who deserves to understand where their supports fits into the bigger picture. When speaking with a donor, always speak to the system your organisation fits into, even if they indicate that they are only interested in a fraction of it. That is good impact practice as well as good fundraising practice. Sometimes the messages that sell best in fundraising don’t always add value to the general perception of the charity sector and the fields we work in, so fundraisers carry responsibility on behalf of their impact causes to bring that in to the room as much as possible with the person you are speaking with. How do you build relationships with foundations that say they want a relationship but don’t accept any unsolicited requests and won’t come to any events unless you are already a grantee? If foundations don’t accept unsolicited requests, and don’t attend your events, it is probably because they are inundated with requests, and don’t have the internal capacity to respond. If you really want to connect with this type of donor, the key is still relationship-building. Make sure you work every connection within your network, and leverage the most senior people you can in your environments. Having said this, what many people forget is that there is an ecosystem around the funder that you will also need to connect with e.g. grants managers, secretaries, personal assistants and other gatekeepers. The nature of your relationship with these gatekeepers could determine what the donor hears about your organisation and whether you get access to them or not. If you can’t find a connection to a donor that you think would be a great fit with your organisation, the best way to start building a relationship with them is to leave your desk. Go to events where they may be attending or speaking, ask them for advice or for a quote for an article you are writing, or even ask other fundraisers who have successful relationships with them for suggestions. Keep trying different tactics, but make sure you don’t waste your time after a certain amount of tries and move on if you’ve tried everything; you’ve only got so many hours in a day! If you take just one thing from our event, it’s that donors are human beings, and want to work with you to solve problems — their own, and the world’s! Donor-centric strategies allow you to build strong relationships and work effectively with donors by encouraging frank and honest discussions that are vital for establishing trust and aligning your values whilst enabling you to stay true to your strategic mission. If you ever want to chat more about major gifts strategy, then do get in touch with us — we’d love to discuss over coffee! Junior Advisor at I.G. Advisors.